Daptomycin is an injectable antibiotic with activity versus a variety of Gram positive bacteria. Here, an infectious diseases pharmacist identifies five interesting things to know about daptomycin. Daptomycin has received a great deal of attention from the healthcare community in the time since it initially became available. This is for a variety of reasons. Physicians have been interested in daptomycin to treat their patients. Researchers have been interested in daptomycin for expanding our understanding of when and how to use it. Administrators have been interested in daptomycin due to the heavy price tag it has carried. Antimicrobial stewardship leaders have been interested in reserving daptomycin to prevent bacteria from developing resistance to it. 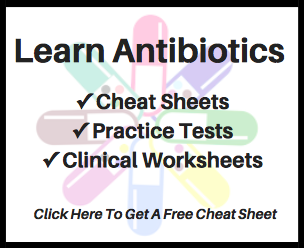 Here, I review some of the more interesting things to know about daptomycin today. Whether you are a novice or a seasoned expert, hopefully you will find one of the following things new and intriguing. Similar to many antibiotics, daptomycin was discovered as a molecule produced by a microorganism. In this instance the organism Streptomyces rosesporus was isolated from Mount Ararat in Turkey. It was discovered in a soil sample by researchers from Eli Lilly. As a side note, the above photo used for this article has Mount Ararat in the background. This dormant compound volcano is home to the highest peak in Turkey at nearly 17,000 feet above sea level. When initially investigated by Eli Lilly, daptomycin was found to be associated with a high rate of musculoskeletal effects. To further investigate the issue, dogs were selected as test animals, because adverse effects and monitoring with the human musculoskeletal system most closely correlated with canine models. The researchers tried giving larger doses at longer intervals (i.e., 75 mg/kg every 24 hours) rather than lower doses at more frequent intervals (25 mg/kg every 8 hours). Low and behold, the toxicity rates were found to be less with the strategy of giving the higher doses at less frequent intervals! Today daptomycin is used once daily in humans, with an every-other-day schedule for some people with kidney dysfunction. This is an incredibly specific FDA-approved indication. While daptomycin was being studied for Staphylococcus aureus bloodstream infection the study cohort included a considerable number of patients with right-sided infective endocarditis. A portion of these were intravenous drug users, a group well known to be at risk for this infection type. Due to challenges in studying new potential antibiotics that have further developed in the last decade or so, it is fairly unlikely new antibiotics coming to market will gain this same FDA-approved indication. In a 2010 publication daptomycin was noted to be the most financially successful IV antibiotic in United States history (in nominal sales dollars). To most people, this was not a surprise and the profits on daptomycin have continued since then. Review any of the annual National Trends in Prescription Drug Expenditures and Projections articles published in the American Journal of Health-System Pharmacy over the years and you will find daptomycin to be a frequent flyer on the “top 25 drug expenditures in nonfederal hospitals” list. In the most recent report daptomycin came in at #9 with just under $500,000. The price of daptomycin varies from one institution to the next based upon contracting and the price generally fluctuates over time. However, the price is starting to come down now that generic daptomycin entered the United States market in late 2016. Let’s hope it continues to become more affordable and it stays off of the shortage list! Today the debate continues as to what dose to use when employing daptomycin therapy, particularly for deep-seated infections. It would not be unusual for 3 providers caring for the same patient to pick 3 different daptomycin doses, weighing the organism, infection type, and patient-specific characteristics at hand. Maybe we will never know the “best” way to dose daptomycin for a specific patient. Perhaps this is a reminder that medicine is often more of an art than a science. Finally, I would like recognize Dr. Francis Tally, who you can read about here. Without his work it is likely that daptomycin would have never made it to market for use. Eisenstein BI, et al. Daptomycin: from the mountain to the clinic, with the essential help from Francis Tally, MD. Clinical Infectious Diseases. 2010; 50: S10-S15. Fowler Vj, et. al. Daptomycin versus standard therapy for bacteremia and endocarditis caused by Staphylococcus aureus. New England Journal of Medicine. 2006; 355:653-665. Britt NS, et al. Comparison of the effectiveness and safety of linezolid and daptomycin in vancomycin-resistant Enterococcal bloodstream infection: a national cohort study of veterans affairs patients. Clinical Infectious Diseases. 2015; 61: 871-878. Stefani S., et al. Insights and clinical perspectives of daptomycin resistance in Staphylococcus aureus: A review of the available evidence. International Journal of Antimicrobial Agents. 2015; 46(3): 278-289. Namtu KC., et al. Clinical experience with daptomycin in pediatric patients. Pharmacotherapy. 2017; 37(1): 105-108. Patel R., et al. Vancomycin-resistant enterococcal bacteremia pharmacotherapy. Annals of Pharmacotherapy. 2015; 49(1): 69-85.